Tune Your HEMI In Minutes with No PCM Swap! 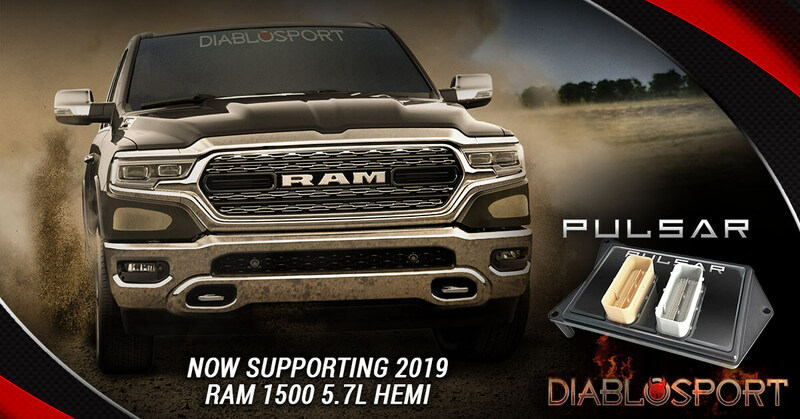 DiabloSport has pioneered late model Dodge/Chrysler Hemi tuning with the most diverse product offering for 2015 and newer vehicles on the market. The DiabloSport PCM + Tuner PKITs and PCM swap kits are the go-to performance tuning solution with the PCM modification in mind. 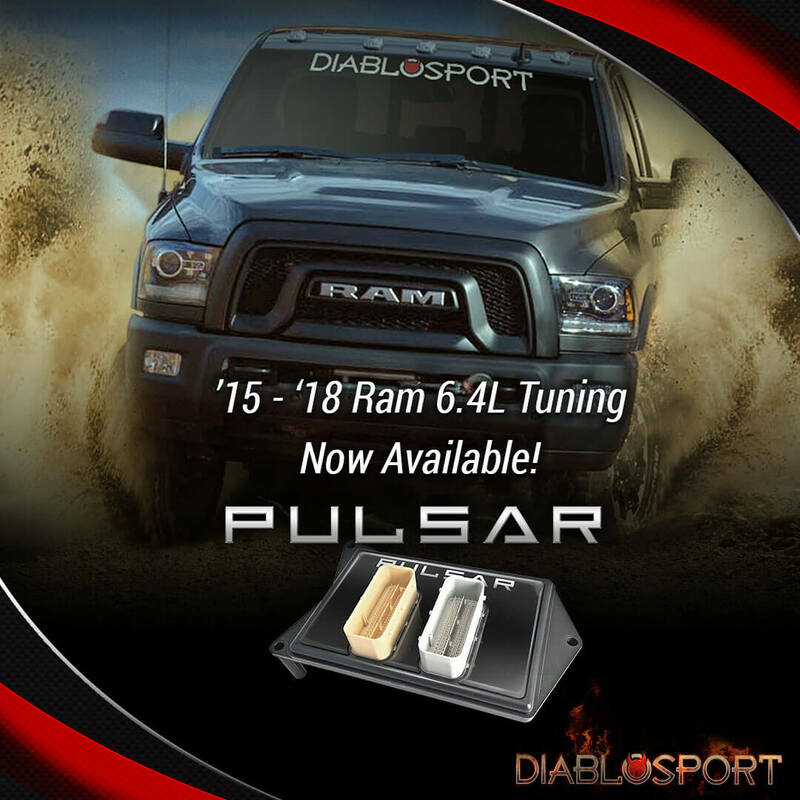 Now, DiabloSport brings a fresh solution to tuning 2015-2019 Ram 1500 trucks without modifying the PCM at all! 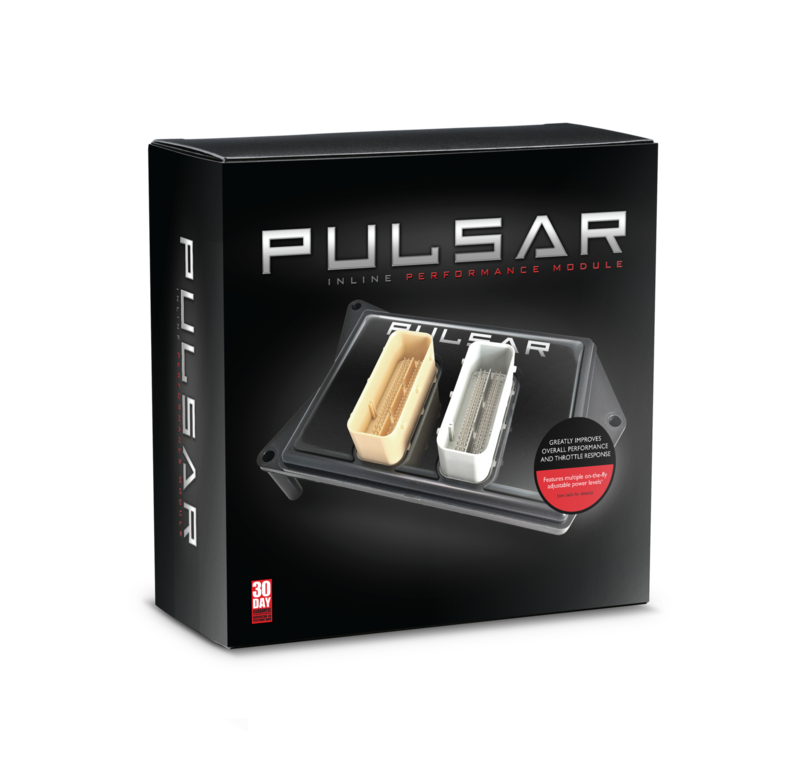 Pulsar, PN 32451 for 2015-2018 and PN 32453 for 2019 Ram, is a brand new, innovative product that has been engineered to keep your PCM on the truck with no flash tuning, or removal of the computer itself, required. Pulsar is an in-line computer that connects directly to the vehicle’s PCM, with no additional wiring harness. 2015+ performance tuning has never been this easy! How Does Pulsar Do It? By connecting directly to the truck’s PCM, Pulsar has the ability to control the vehicle to optimize performance gains, throttle response, MDS controls, mileage, and more. Our team took things a step further with development on tuning these 15-Up 5.7L gas trucks by engineering 8 performance levels that can be switched on-the-fly by using the vehicle cruise control “+” and “–” buttons on the steering wheel! The user’s selected power level (between 1-8) is displayed directly on the dash, where the gear indicator resides. 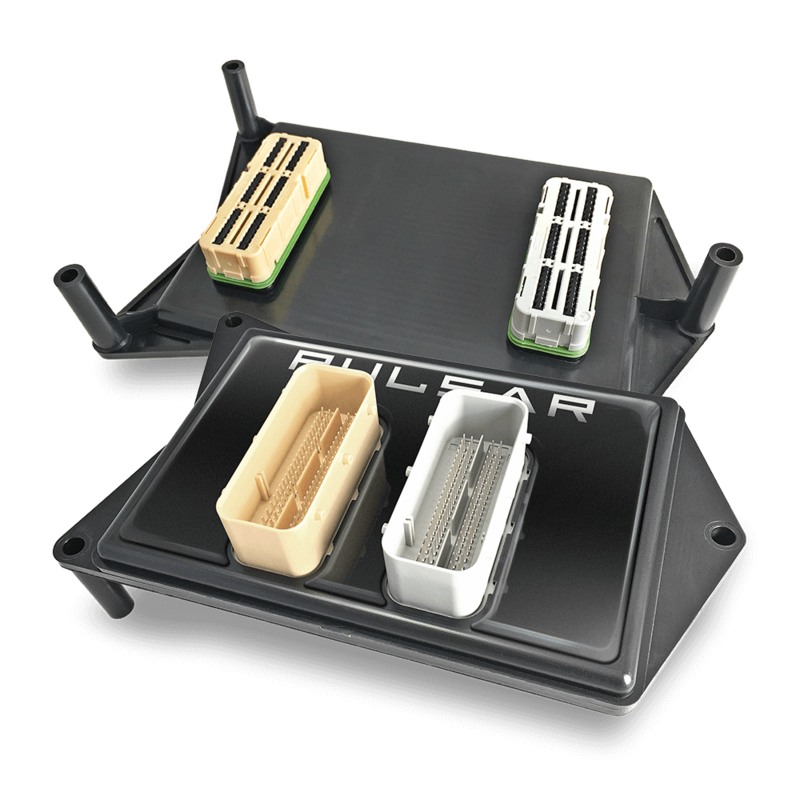 Pulsar installs in minutes and is the most exciting and innovative product on the market for 2015-2019 Ram 1500 Hemi trucks! If you’d purchased a 32451 Pulsar for your 2015-2018 Ram 1500 and you’d like to enable the tire size and gear ratio features, please give us a call at 866-404-6141 and our technicians can help. The 6.4L equipped Ram trucks are a great alternative to a diesel powerplant. They make great power and provide awesome capabilities. For those who want more power or improved responsiveness, you have to resort to modifying the PCM in order to tune. That was the situation until the Pulsar arrived on the scene. The Pulsar is an innovative product that ties directly into the PCM to add power, improve responsiveness, and even program tire size without doing any PCM modifications or alterations to the vehicle. 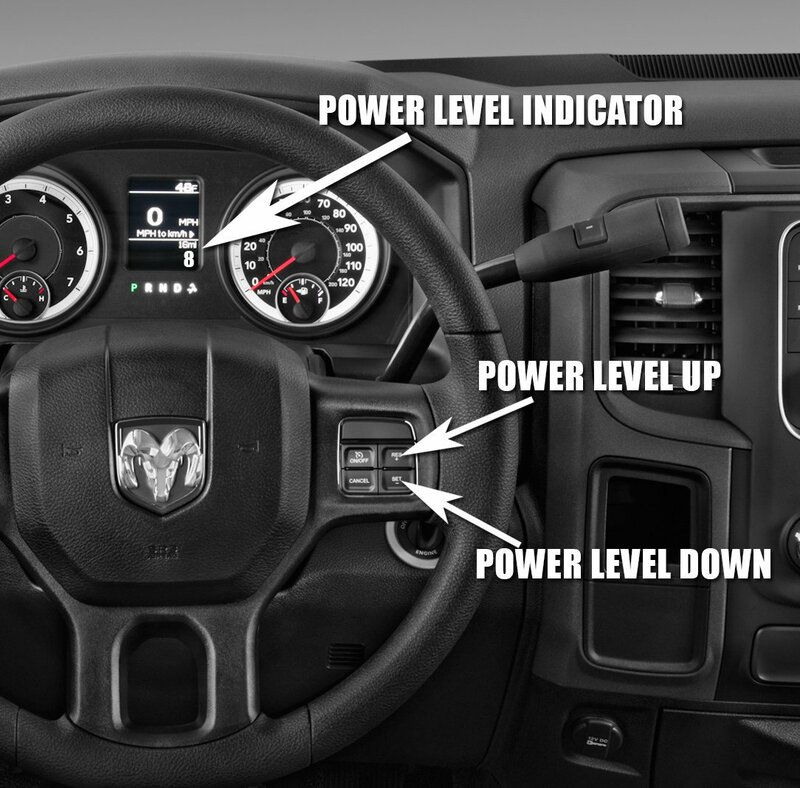 It is the only solution for the late model Ram trucks to add power without PCM modifications. The Pulsar, PN 32452, is as easy to install as it is to operate in the vehicle. Simply use your cruise control buttons on the steering wheel to adjust the power levels and options on your Pulsar through the factory cluster. It’s that simple. If you need to go back to stock, simply unplug the Pulsar from the PCM and you’re back at 100% stock with no alterations or flags in the vehicle. The Pulsar is the most innovative and groundbreaking product available for late model Dodge/Ram vehicles. Equip your ride with Pulsar! I’v always had tuners, bolt ons and gizmos on all my cars and trucks and now i just bought this for my 2017 hemi 1500 . I installed 35 in tires . Full body 4 inch lift kit and flowmaster exhaust and kNn intake and this piggy back tuner does everything i expected and so much more ! Econo when i wanna be conservative” (very few times now that i actually love driving my truck lol) Towing when pulling my sleds and trailers and of course the aggressive power band mode . Now that’s where i realized wow so THIS IS WHAT A HEMI IS SUPPOSED TO FEEL LIKE . Guys – Don’t even put it up for debate ! This is by far the best tuner for a hemi out there hands down 10/10 satisfied ! The Pulsar Programmer, 4” lift, and 35” tires were installed this past week. Even with the larger tires, there is a dramatic increase in performance. In performance mode, it definitely feels like 30 HP. I don’t think it’s just throttle response either, the mid-range and all around power are dramatically better. The programmer provides a very noticeable performance increase. Even in performance mode, the fuel mileage was good. I was cruising at 22-25 even with the bigger M/Ts. I’ll be purchasing the cold air intake next! Thanks! I bought the Pulsar on saturday at the ultimated off road show in Dallas. It installed in 10 mins and as soon as i left the parking lot the truck was a completely different truck. The throttle response in performance mode is awesome and after a 3 hour drive home from the truck show was alot of fun. This product is everything they are advertising and excited to see any updates that come. I purchased this module a couple of weeks ago. Took about 10 minutes to install, and ever since i have been 100% satisfied! If you are contemplating this purchase..DO IT! I have owned almost every tuner on the market for different vehicle i have owned, and this one is right at the top for function and fun. I have a cold air, throttle body spacer, and a Flow master muffler (outlaw sound level), and let me tell you, the throttle response and exhaust note is noticeably improved. Mileage improved on the highway for sure.